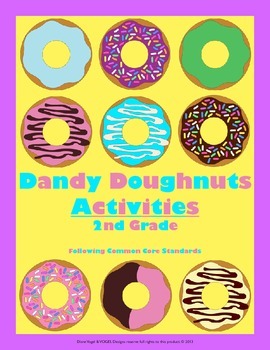 2nd Grade Common Core - "Dandy Doughnuts"
There are 12 different doughnut activities each dealing with a 2nd grade common core concept. Each set of problems are written on 12 different doughnuts. You are getting 144 problems total. I have written curriculum for both counties in which I've worked. I have studied the common core curriculum and carefully selected the problems. These problems could be used in a variety of ways. 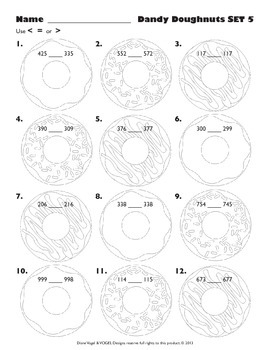 If you don't wish to use worksheets, the doughnuts can be cut out and stored in a doughnut box. You could use a set a week in centers. I plan on creating 24 more sets of problems. I will be uploading a freebie doughnut recipe that is super simple to make. 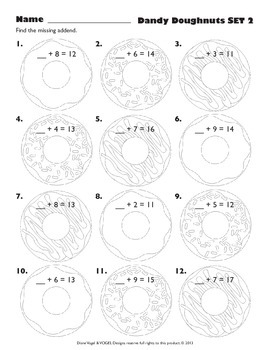 Wouldn't it be fun to have a doughnut party after completion of 12 sets of problems! An answer key is included.